Amazon 1-Click Default Payment Promotion: Amazon is offering an EASY $10 statement credit bonus when you switch your 1-Click default payment method to an eligible Discover card. You can use the $10 statement credit on purchases of physical products sold and shipped by Amazon.com and excludes gift cards. See the terms and conditions below. If you currently have 1-Click settings enabled, change the card to a non-Discover card, then turn 1-Click off. Click the offer when you see it and set a Discover card as your 1-click method. Let us know if this method works for you in the comment section below! 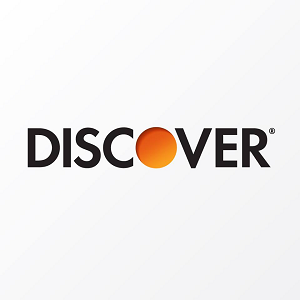 To redeem the credit, make subsequent eligible purchase(s) with your Discover card. Credit must be redeemed by 11:59 p.m. PT on March 31, 2018. Unredeemed credit will expire after that time. You will receive an e-mail from Amazon that indicates the dollar amount of the promotional credit and that the credit has been added to your customer account. The e-mail will also provide instructions on how to redeem the promotional credit. The credit may be redeemed on the purchase of physical products sold and shipped by Amazon.com or Amazon Digital Services LLC (look for “sold by Amazon.com” or “sold by Amazon Digital Services LLC” on the product detail page), and excludes certain content and products, including but not limited to Alexa, Fire, and Kindle products/devices, Gift Cards, Kindle eBooks, instant videos, MP3s, and all other digital content and downloads. Products sold by third-party sellers or other Amazon entities do not qualify for this offer, even if “fulfilled by Amazon.com” or “Prime Eligible”. Digital content and services may only be available to customers located in the U.S. and are subject to the terms and conditions of Amazon Digital Services LLC. The credit will be allocated proportionally among all eligible items in your order. Shipping charges and taxes may apply to the full value of discounted and free promotional items. Items must be purchased in a single order and shipped at the same speed to a single address. You are responsible for the final purchase price after the credit is applied, plus applicable taxes and shipping charges. If any of the products purchased with the credit are returned, your refund will equal the amount you paid for the product, subject to applicable refund policies. Credit redeemed on an Alexa, Fire, or Kindle device will be applied to the Amazon.com account registered to that device. Offer applies only to the purchase of eligible items made with an eligible Discover card. An Amazon.com account with an eligible Discover card is required to claim and redeem this credit. If, for any reason, your Discover card is inactive, denied, or ineligible, you will not be eligible to claim or redeem this credit. This promotional offer is valid for a limited time only or while supplies last. Offer limited to one per customer and account. Amazon reserves the right to modify or cancel the promotion at any time. If you violate any of these terms, the offer will be invalid, and the credit will not apply. This offer may not be resold, is nontransferable, not redeemable for cash, and is void where prohibited by law and in case of fraud. This offer may not be combined with other offers. Unless an Amazon Gift Card is the stated benefit of the promotion, credit (including those placed directly in accounts) may not be redeemed for Amazon Gift Cards. This offer is worth it considering how easy it is to redeem. If you weren’t targeted or if the offer didn’t show up for you, you can try the method listed in this post to see if it’ll work. If it did, let us know in the comment section below! 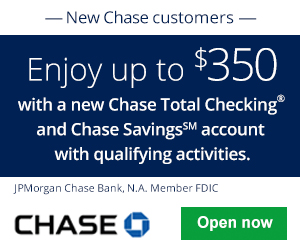 If you’re interested in more info regarding Chase Bank offers, check out our full listing of Discover Bank Deals, Bonuses, Rates, and Promotions. Be sure to check back on BankDealGuy for more bank deals!